Felicity Ford is a PhD candidate in Screen and Cultural Studies at the University of Melbourne and the Secretary for the Melbourne Cinematheque. 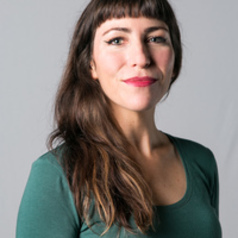 Her research is primarily focused on contemporary global cinema and disruptions to cinematic form in relation to sound, movement, vision, and tactility. She is interested in how cinema intersects with broader questions of access, consent, ability, and privilege and particularly drawn to films that engage with narratives of disability, sexuality, criminality, trauma, nationalism, and guilt. Her work has been published in Film Philosophy, Metro, Screen Education, and Senses of Cinema.